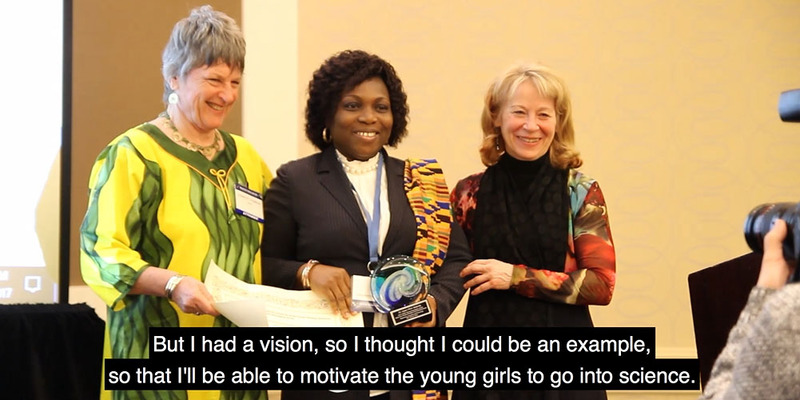 Now, nominations are open for the 2018 OWSD-Elsevier Foundation Award Nominations for Early-Career Women Scientists in the Developing World, which focuses on the physical sciences this year, including chemistry, mathematics and physics. Honoring the achievements of researchers who have made significant contributions to the advancement of science, the awards represent a high-profile recognition for women scientists from five regions: Latin America and the Caribbean, the Arab region, Sub-Saharan Africa, Central and South Asia, and East and South-East Asia and the Pacific. A collaboration between the Organization for Women in Science for the Developing World (OWSD) and the Elsevier Foundation, the awards are open to early-career scientists (within 10 years of receiving a PhD) from the 80 scientifically lagging countries as defined by OWSD. The five winning scientists, one from each region, will receive a cash prize of $5,000 and all-expenses paid attendance at the 2018 AAAS Annual Meeting in Austin, Texas, where they will be honored in an award ceremony. All nominations will be reviewed by a committee international scientists representing the five regions, including members of TWAS and OWSD, and chaired by OWSD President Prof. Jennifer Thomson.